This general practice opportunity has 5 state-of-the-art operatories and is located in rapidly growing Clark County, Washington. 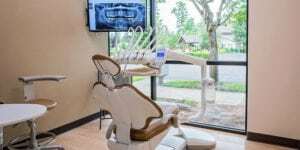 The beautiful 2,000 square foot facility is a newer build out in a busy and visible location in a high-traffic center just 15 minutes from PDX airport. The facility includes: 5 ops, 2 restrooms, a private office, consult room, staff lounge, laundry, lab, sterilization and more. There is 1,000 square feet available next door. While just started in early 2016, 2017 collections were $619,748. 2018 collections are currently at $476K, and are on track for over $700K by end of year. In order to ramp up the practice quickly, the owner has accepted Medicaid patients. There are 3,226 active patients. It is estimated that 71% of the practice is currently Medicaid, 11% is PPO and 18% is FFS. Private patients continue to come to the practice in increasing numbers and Medicaid patients could eventually be discontinued. There are approximately 100 new patients each month. Referred out of the practice are complicated root canals, implant placements, partial and boney extractions, dentures and partials. The office is open Monday through Thursday from 9:00 to 5:00 and Friday from 8:00 to 3:00. The software is Eaglesoft. Charts and X-rays are digital. There is also a digital panorex and endo equipment on site. 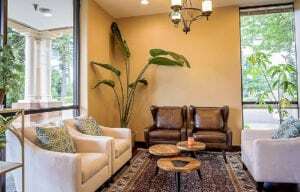 The staff includes an associate dentist who works 4 to 4.5 days a week (the owner works 3 days/week), 3 office staff, 4 dental assistants and two hygienist (5-6 hygiene days). The seller is motivated due to a relocation out of the area.